Waiting for a Green Card - What does it mean for a Haitian living in Haiti? The United States is known as the land of opportunity across the globe. For many Haitians at home in Haiti, getting a Green Card is a very big deal. 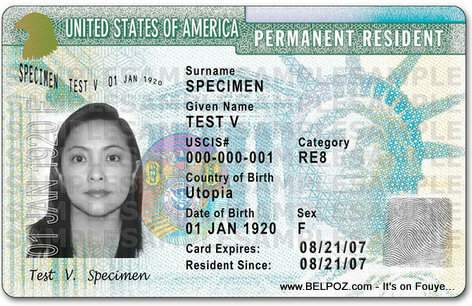 As a Haitian green card holder you are permanent resident of the United States, you have been granted authorization to live and work in the United States on a permanent basis... For many, It means being able to work in the USA and send money home. Most Haitians who become green card holder are sponsored by a family member, a mother, a father, son or daughter in the United States. Are you a Haitian Green card holder, do you remember what it was like waiting for your green card?